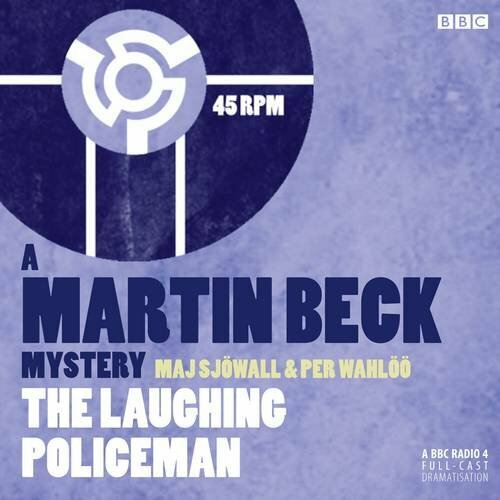 Synopsis: Steven Mackintosh stars as Martin Beck, with Neil Pearson as Lennart Kollberg, in this BBC Radio 4 dramatisation of The Laughing Policeman. The Martin Beck books are widely acknowledged as some of the most influential detective novels ever written. Written by Swedish husband and wife team Maj Sjowall and Per Wahloo, the series set a gold standard for all subsequent Scandanavian crime fiction. Before Kurt Wallander or Harry Hole, Beck was the original flawed policeman, working alongside his colleagues to uncover the cruelty and injustice lurking beneath the surface of Sweden's seemingly liberal, democratic society. In The Laughing Policeman, adapted from the fourth book in the series, the killing of 9 passengers on a Stockholm bus (including one of Beck's most promising young detectives) sets off a murder hunt that leads Beck and his team back to an unsolved case in the past. Translated by Alan Blair and dramatised by Jennifer Howarth. The Martin Beck books are widely acknowledged as some of the most influential detective novels ever written. Written by Swedish husband and wife team Maj Sjöwall and Per Wahlöö between 1965-1975, the ten-book series set a gold standard for all subsequent Scandanavian crime fiction. Long before Kurt Wallander or Harry Hole, Beck was the original flawed policeman, working with a motley collection of colleagues to uncover the cruelty and injustice lurking beneath the surface of Sweden's seemingly liberal, democratic society. In The Laughing Policeman, adapted from the fourth book in the series, the killing of nine passengers on a Stockholm bus (including one of Beck's most promising young detectives) sets off a murder hunt that leads Beck and his team back to an unsolved case in the past. Translated by Alan Blair and dramatised by Jennifer Howarth.